Here’s to finding love in any place, at any time! This collection of eleven short stories of chance romance reflects the hope that comes with the first bloom of romance, whether you find it in your youth, midlife, or the twilight years. 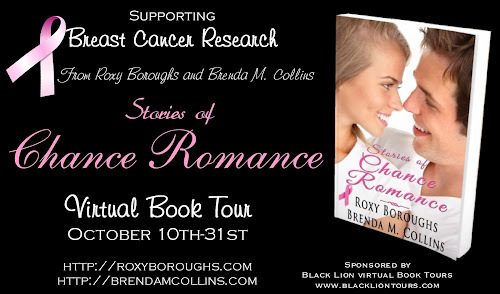 We dedicate Stories of Chance Romance to all the women who face breast cancer and to the teams of family, friends and medical professionals who support them on their journey. Like so many woman, we have been closely and personally touched by this disease. Roxy was diagnosed and successfully treated in 2010—the same year Brenda lost her very dear friend, Mary Beggan, to breast cancer. All authors’ profits from the sale of this anthology are being donated to advance the research, education, diagnosis and treatment of breast cancer. Roxy Boroughs got the acting bug in elementary school, creating skits at recess and performing them for the class, thanks to her very indulgent teacher. She went on to study theater in university, met the love of her life there, and spent many years performing in movies, commercials and on stages across Canada and the US. Soon, portraying one character wasn’t enough. She wanted to be them all. So she poured her years of drama experience into writing plays and novels. Look for her award-winning romantic suspense A STRANGER’S TOUCH, as well as its sequel, A STRANGER’S KISS, along with a sweet, romantic comedy called CRAZY FOR COWBOY. Find her on Facebook, Twitter and her website http://www.roxyboroughs.com/. 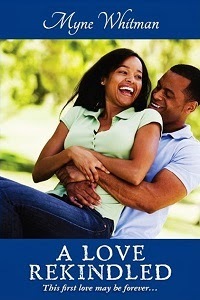 Brenda M. Collins has wanted to write romance since she was twelve years old. At the age of twenty, she spoke to an editor in Toronto, Canada, who expressed an interest in her story; however, she soon realized it takes more than an idea to be an author. She joined a number of writing groups to learn about ‘the craft’ and completed two mystery manuscripts. 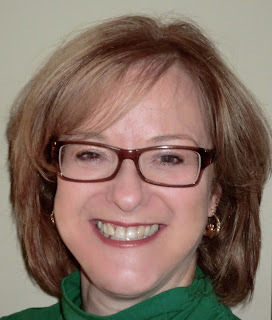 To help her fellow writers develop strong business skills, Brenda has published articles, and delivered workshops to hundreds of writers, on career planning, professional networking and presentation skills. Her most recent article, entitled How to Improve your Presentations, is in the 2013 Writer’s Market (Brewer, R.L., ed. F&W Media Inc. p. 153). Brenda’s debut novel, WITCH IN THE WIND, starts with a murder, but comes to life with witches, warlocks, a canine familiar and a magical dimension called The Otherland. For upcoming titles in The Otherland Chronicles, and other stories, keep an eye on Brenda’s website www.brendamcollins.com and follow her on Twitter. Gina headed to the Big Ridge High gymnasium, thrilled to find herself back in Montana, and at her old alma mater, ten years after graduating. Amidst the bobbing helium balloons and dim lighting, she could still make out the sign welcoming everyone to the reunion. Anticipation tickled her insides. Thanks to email, she’d kept in touch with many of her old buddies and couldn’t wait to see them again. Luanne, Conner, and Kirstin—the four of them had stuck together like honey on bread—done projects, endured gym class, and dreamed of a future when they’d grow out of their awkwardness. And Gina had. Braces off, she’d opted for laser surgery and pitched the glasses, and her beanpole body finally had some curves. She’d been on her share of dates—even had a marriage proposal—but hadn’t found Mr. Right. In spite of all the years that had passed, she still measured men by her high school crush. He sure had her heart. Two years older, he’d been unobtainable at the time—tall and tanned, with curly brown hair, and boyish dimples that made him irresistible to the girls. And he had a bright future. His father, who owned one of the local gas stations, hoped Adam would attend a prominent university. Would she still feel the same magic when she saw him? Someone tapped Gina’s shoulder and she twirled around. Ten years hadn’t changed Kirstin one bit. She still had the same mischievous eyes, and let go with the same contagious laugh as the two hugged. Quickly, they caught up on the intervening years—Kirstin’s two children and Gina’s small catering business. “Oh, he’s here all right. Follow me.” Kirstin led her across the dance floor, as Say My Name by Destiny’s Child segued into Breathe by Faith Hill. Through the parting crowd, she saw him—looking about as scrumptious as a man could. Maybe he had a little less hair on top but the sight of him still made Gina’s heart do a flip. “I sure don’t.” Adam’s gaze wandered over Gina’s orchid-colored halter dress. A slow smile spread across his lips. Having made the introductions, Kirstin turned to leave. Gina reached for her, nervous to be left alone with her teenage idol. But Kirstin just winked. “Three’s a crowd,” she said, before disappearing into the dancing throng. “I did a year.” He gave a lazy shrug. “Why sweat it? I’ll inherit the gas station one day.” His eyes made another sweep of her dress. He laughed as though the idea was absurd. Gina’s lips quivered, her smile cracked. She was proud of her achievements, her work ethic. What had Adam accomplished? Was this the man she’d wasted so much time dreaming about? Desperate for air, she fought her way to the exit. One moment, she was weaving through bodies. The next, she was spun around, locked in a man’s embrace. About to protest, she looked up, and into, the kindest eyes she’d ever known. “Hardly,” she admitted. Connor had always seemed frail as a teen. Not anymore. This man was solid, his biceps firm. When he smiled, it lit up the room. What could she say? Different than I expected? How had she overlooked him in high school? He was smart, caring and, through the passing years, had acquired the kind of confidence that made a man truly attractive. “The best,” she murmured, right before he kissed her.